Cyclingnews visited Cicli De Rosa in the Milano suburb of Cusano Milanino, situated in an industrial zone just north of Milan's hectic 'tangenziale nord' ring road. 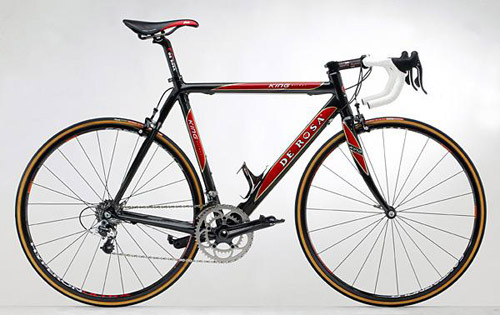 Before the usual summer closing for August, Cristiano De Rosa gave us a few details about De Rosa's key new products. 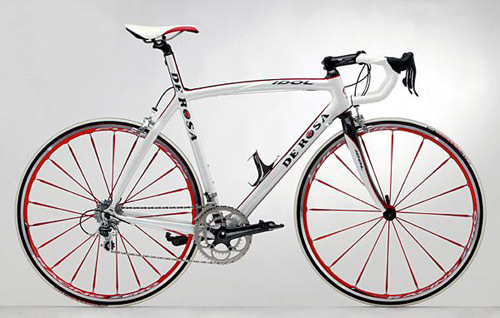 "We have created a new model called Idol," said DeRosa, "totally made in Italy with a process called 'fasciata' where we wrap the tubes with special carbon fiber tape to join the tubes. This works really well and we've developed the Idol as a cousin for our Dual aluminium model, with a special integrated seat post." De Rosa's King X-Light gets some new paint and graphics, and Cristiano was happy to show us what he believes is the first ever carbon fiber kids' bike, the Jr. Carbon. "We wanted to have some more fun with kids' bikes this year and so we decided to come up with this first ever carbon fiber kids' bike." As we were departing De Rosa, Cristiano's brother Danilo, an avid competitor in Italian Gran Fondo events came to tell us about the first ever Gran Fondo DeRosa, on Saturday, August 26 in conjunction with the Hotter N' Hell Hundred endurance ride in Wichita Falls, Texas.